Online stream anime episodes, Watch Naruto Shippuuden Episode 156 English Subbed online and free episodes. Anime Episode guide, Chapter Naruto Shippuuden Episode 156 English Subbed Surpassing the Master Naruto uses his Shadow Clones to master gathering Natural Energy and enters Sage Mode for the first time. He and Fukasaku then begin to practice Frog Kumite. Using his newfound powers, Naruto begins to practice in secret. 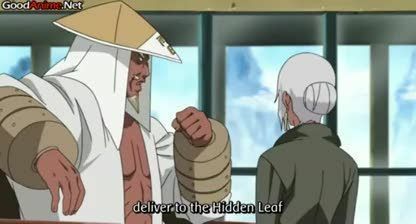 Meanwhile, the Cloud Village initiates a search for Killer Bee and the Raikage asks Team Samui, consisting of herself and two former students of Bee, Karui and Omoi, to deliver a letter to Konoha stating that his village will deal with Sasuke, as well as to convene the Five Kage for a Kage Summit.